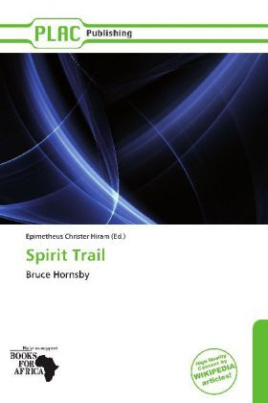 Bruce Hornsby's sixth album, a double album, is titled Spirit Trail. This is his third solo-credited album. This would be the last album before his current band, Bruce Hornsby & the Noise Makers, formed. This album can be seen in the film "World's Greatest Dad". Bruce Randall Hornsby (born November 23, 1954) is an American singer, pianist, accordion player, and songwriter. Known for the spontaneity and creativity of his live performances, Hornsby draws frequently from classical, jazz, bluegrass, folk, Motown, rock, blues, and jam band musical traditions with his songwriting and the seamless improvisations contained within.